We and everything around us are in perpetual motion. It is so natural and mundane that we hardly take notice.However, the beauty of natural dynamics is its simplicity and complexity at the same time. Take for example the way we walk. For us it’s the most simple and natural thing to do. But think about the processes, coordination and timing between various organs . The eyes scan the surroundings, sending the data to the brain which in turn processes it and sends perfectly timed commands to the respective muscles in the legs and hands to execute that motion. Big deal?! Try writing a piece of code for a robot to walk the same way as we do and the perspective immediately becomes clear. It is no secret that the whole universe is a perfectly orchestrated symphony. The formation of the stars, galaxies, the movement of the suns and the associated planets and their moons, even the comets and asteroids exhibit an elegant and perfectly executed motion. Any motion that is a result of perfectly coordinated actions and perfectly balanced forces is graceful and a treat to the eyes. Just imagine if you were to be positioned at such a distance in space from where you could clearly see our solar system and the movement of the planets around the sun. You would see the planets gently revolving around the sun in a beautiful elliptical orbit all perfectly balanced by the sun’s gravity. You don’t need to be an astronaut or a cosmonaut to appreciate the dynamics. Just look at the eagle soaring in the sky with it wings spread out. It catches a thermal and effortlessly glides up without flapping a wing. The lift generated by its wings nicely balances out the gravity, just sufficient to lift and hold it aloft thousands of feet above the ground. Similarly, observe a fish in an aquarium tank or a dolphin or a whale moving in water. Gravity, buoyancy and the forces generated by its fins flawlessly conspire to produce literally a “fluid motion”. Back on the ground, in the wild, a Cheetah’s sprint after a zig-zag moving prey mesmerizes everyone. The laser focus, powerful strides, that humongous burst of energy and last but not the least, that deft movement of the tail to fine tune its balance while changing directions is just out of this world. The spectacle of speed, power, timing and balance is a given in the sporting world. A tennis player tosses the ball up at the right height, adjusts his weight, his muscles contract accumulating power and finally letting it all out at the right time hitting the ball, in the right direction to produce that ace, all in a seamless awe inspiring motion. Again, it is needless to say that the the dynamics of such motion are so eye catching due to the perfect orchestration of the forces involved, the timing and the raw power.The machine world too is known to display some mind numbing visuals of dynamics. The most natural example would be the helicopter. The principle of flight is more complex for a chopper than a good old airplane. The main rotor blades not only create lift but also thrust. However, the rotation of the rotor blades generates what is known as “anti torque” which makes the fuselage spin in the opposite direction. The forces of anti torque are balanced out by the tail rotor which pushes the tail in the direction opposite to that of the anti torque. Without going into too much technicals, just savour the sight of a flying helicopter. However, the most flamboyant display of dynamics is demonstrated by rockets and modern missiles. The supersonic Brahmos missile, seconds after its launch fires a couple of rockets to change direction in mid air, throws off parts of its canister and fires the main rocket to accelerate it to insane Mach 3 speed. Watch the sequence of events as they unfold. Dynamics don’t get better than this! 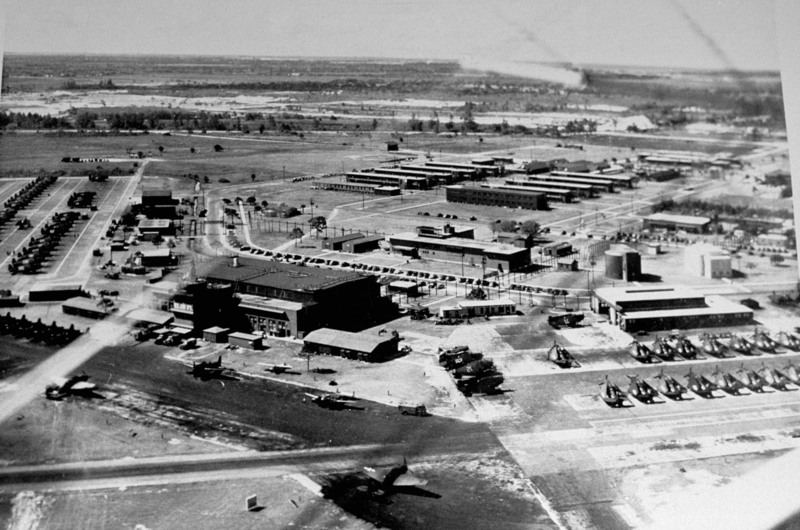 It was a clear day at the Naval Air Station, Ft. Lauderdale, Florida on December 5th, 1945. Five Grumman Avenger TBMs(Torpedo Bombers) were ready for take off on a training mission. These group of five planes were given the designation “Flight 19”. 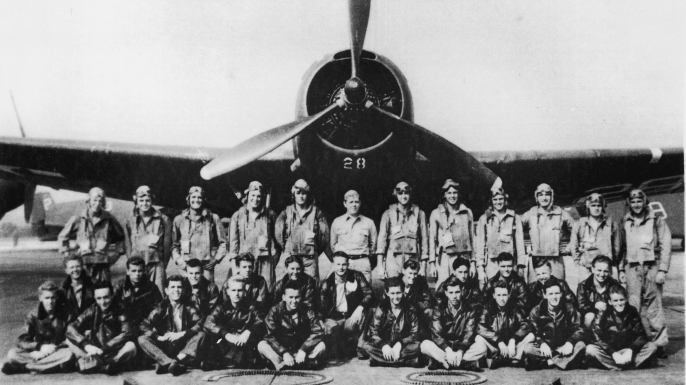 Flight 19 was eventually called the “Lost Patrol”. 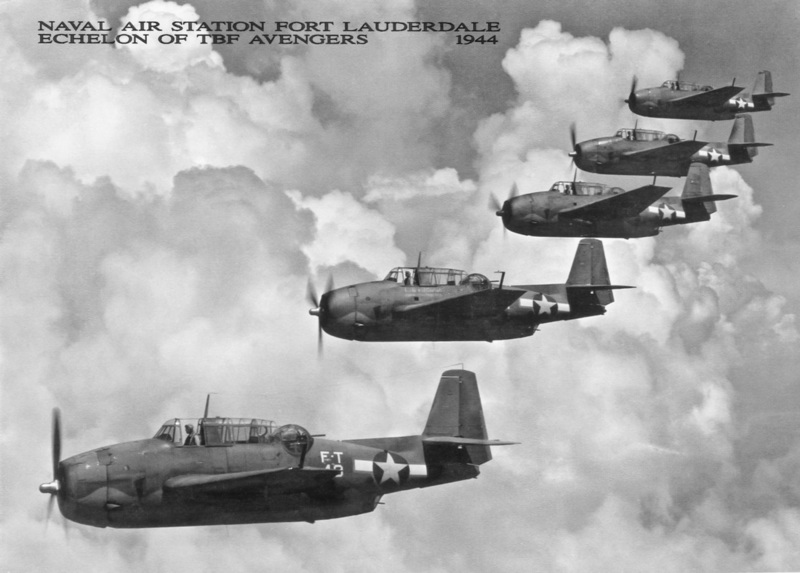 The Avengers first entered service in 1942 and saw action in the Battle of Midway. It was the heaviest single engine aircraft of WWII. It could carry a payload of 2000 lbs of bombing munitions with a range of 1000 miles. Flight 19 was led by Lieutenant Charles Taylor who had 2500 hours of flying experience. Taylor had 13 trainees with him on that training mission each with around 300 hours of flying experience. The mission plan was simple. Head out east into the sea up to Hens & Chicken Shoals to practice a bombing run. Then proceed further east on to the Bahamas and turn North and fly about 73 miles. After that turn back and head straight to the Naval Air Station in Florida. At 2:10 p.m. the flight took off on the designated flight path. The weather was cooperating well with the flight plans. At 3:30 pm, Taylor radioed the control tower saying that his compass was malfunctioning and reported seeing a chain of islands which he thought was Florida Keys. Florida keys are located down south from the Naval Air Station from where the Flight 19 took off. He believed that they had flown South due to the malfunctioning compass instead of east. The control tower instructed him to fly north towards Miami only if he was sure he was over the Florida Keys. He complied and turned north. It was not clear as to what made Taylor think he was over the Keys. He had actually started off correctly towards the east but now he had turned north and headed out further into the sea. At 3:45 p.m. Taylor contacted the control tower again, this time sounding worried. He could not see any land mass and was confused about his bearing. At the same time, another transmission picked up a trainee pilot saying that if they headed west, they would reach home. But the flight commander apparently did not agree. Those were the days when GPS was not yet invented. The pilots then had the starting point, time, speed and the compass to calculate the location and navigate.There is another interesting piece of trivia here. Though Lieutenant Taylor was an experienced pilot, he had a history of getting lost. During the WWII he was lost thrice out of which twice he had to ditch the plane to be rescued. At about 4:45 pm, it was evident to the personnel at the Naval base that Flight 19 was lost and Taylor was instructed to hand over the command to one of the trainees but apparently he refused. At 5:50 p.m. the communications center did manage to trace the Flight 19 on radar. Apparently, they were east of the Smyrna Beach, Florida. However, by now the radio communications had almost broken down and the weather too was getting heavy. The Avengers were now running low on fuel and if they did not locate land soon, they would have to ditch in sea. All contact was now lost with Flight 19 and the authorities at the Naval Station dispatched two Martin Mariner planes in search at 7:27 p.m. Search operations continued throughout the night and the next day but none of the Avengers could be located. To complete the double whammy, both the Martin Mariners too were lost and never found! The next 5 days the Navy used more than 300 boats and aircraft to search for the missing Flight 19 aircraft and the rescue aircraft but failed to find any oil leaks, broken parts or any wreckage. In fact, to this day none of the Flight 19 Avengers or even the rescue planes could be found! A Navy board set up for investigation too could not arrive at any conclusion and attributed to loss to “causes or reasons unknown”. 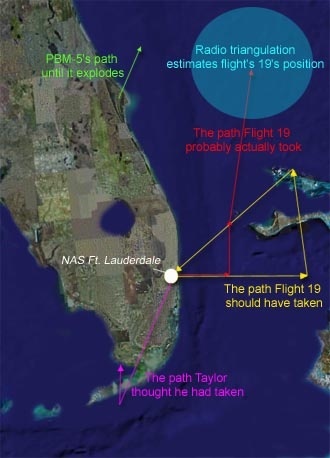 Incidentally, a major part of the Flight 19’s planned flight path falls within the Bermuda Triangle and in the absence of any plausible explanations, many theories about parallel dimensions, alien abductions and magnetic and gravity anomalies are being floated. Along with the disappearance of Flight 19 itself, there are other strange questions that remain unanswered. Witnesses claim that Lieutenant Taylor arrived several minutes late for the pre-exercise briefing and requested to be excused from leading the mission and trying to get out of that flight. Another unexplained fact is why none of the members of Flight 19 made use of the rescue radio frequency or their planes’ ZBX receivers, which could have helped lead them toward Navy radio towers on land. The pilots were told to switch the devices on, but they either didn’t hear the message or didn’t acknowledge it. Whatever happened that evening has cemented the Bermuda Triangle’s reputation which continues to intrigue us even today. Aviation never ceases to amaze! One of the wonders that aviation offers is contrails(condensation trails). Yes, you must have seen them or continue to see them. Beautiful lines drawn in the sky when an airplane passes high above. Sometimes the lines remain for hours together or disappear after few minutes. What are these trails and how are they formed? Well, they are something similar to vapour formed when we exhale through the mouth on a cold winter morning. Contrary to the popular belief, contrails that we see are not the hot jet exhausts. Commercial jets typically fly at altitudes in excess of 25000 feet. Jet exhaust basically contains carbon di-oxide, water vapour, soot and unburned fuel. All these components are released at high temperature and pressure into the atmosphere. The ambient temperature at those altitudes is typically between -41 to -44 degrees C and the pressure is around 0.37atm. The water vapour and some impurities in the exhaust like soot in extremely fine form act like condensation nuclei facilitating formation of a linear cloud. However, this isn’t always the case. The formation of contrails depends on a few factors. When the air at the altitude at which the aircraft is flying is wet and cold, the chances of contrail formation are more and they can stay around for a longer period of time. Sometimes the trails spread and stay around for longer time assuming different shapes resulting in what is known as “chemtrails”. Now chemtrails is a conspiracy theory but for now let us not venture in there. Not all aircraft flying in the same airspace create contrails. The factor that is in play here is also the type of engines. The aviation industry has gradually moved away from the turbojet engine to the turbofan engine. Turbofan engines are more efficient. They have a higher bypass ratio which releases cool air around the hot exhaust gases through the core. A study by Ulrich Schumann has shown that such engines operating at higher propulsion efficiency reach conditions which result in higher relative humidity for the same ambient temperature resulting in formation of contrails. To test this theory, two large commercial jets, a A340-300 and a Boeing 707 were flown together, wing to wing, at designated altitudes during ascent and descent. The A340 is powered by CFM56-5C4 high bypass ratio(6.8 – more efficient) engine whereas the Boeing 707 is powered by JT3D – 3B low bypass(1.4 – less efficient) engine. The ambient conditions and the contrail formation was observed from a research aircraft. It was found that the A340 created contrails in many more instances than the B707. Since early days of aviation, military planners were interested in the formation of contrails. If an aircraft is forming contrails and if it flies over enemy territory, it can easily give away itself and would thus help the enemy take counter measures. A scientist named H.Appleman devised a chart that could predict whether a jet plane would or would not produce a contrail. This chart named as the Appleman chart is still used widely across the world to predict the formation of condensation trails. Another factor that affects the contrail formation is the distribution of wet and dry air in and around the clouds. Inside the cloud, the concentration of wet air is much higher than outside. However, this is not just limited to the clouds. The variation in wet and dry air can be found throughout the clear air. So a jet flying through wet air to is lot more likely to produce contrails than the one flying through dry air. This is the reason why a jet flying at a particular altitude leaves behind contrails while another one in the same vicinity does not. Sometimes the wet and cold air can co-exist within few feet of each other. Sometimes, rockets flying vertically up have been known to demonstrate this. as soon as it hits wet air, it can be seen tracing a contrail. As it enters dry air, the contrails disappear. So next time you see a jet streaking by with a beautiful white trail, just take a few minutes out to savour the sight.